This poetry packet is perfect for reinforcing comprehension and for bringing fluency fun into your classroom during the spring season for Easter! 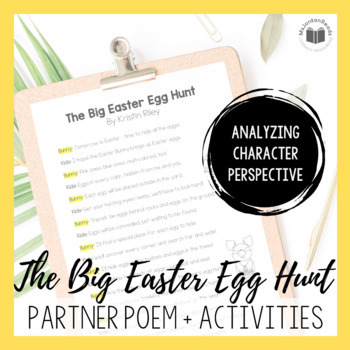 Students can work in pairs to read the included partner poem, "The Big Easter Egg Hunt," focusing on different voices and character perspectives. 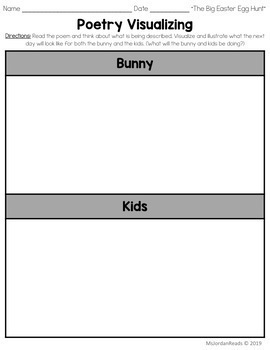 Students will love the back-and-forth structure of the poem and changing their voices to match the expression of the bunny and kids characters. To address varying visual tracking needs, there are two formats of the poem included. Choose which version works best for your students: a two-column poem, or a Readers Theater script style poem with highlighted or non-highlighted character lines. 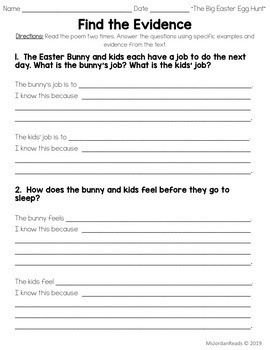 There are four follow-up activity pages to support their comprehension: "Poetry Visualizing," "Easter Egg Context Clues," "Character Inferences," and "My Inferences." Use the activities in a literacy center or as part of your ELA block. They're even great for sending home! This resource also includes evidence-based question sheets at two different levels to reinforce CCSS text-response skills. 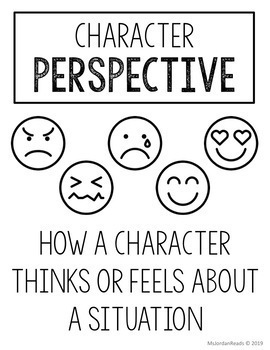 Students can practice using evidence from the text to support their thinking. - Cat and Mouse Chase! - Watch Out For Leprechauns! - Wake Up, Grizzly Bear! Do you want more POETRY products by MsJordanReads? Check them out here!